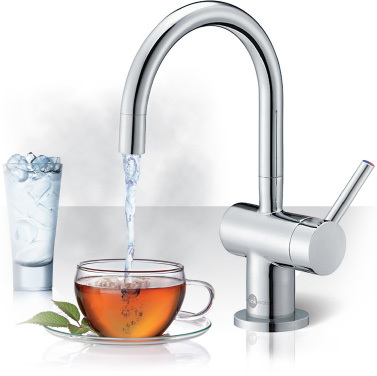 An aerator, a hose, a vintage or a modern design – it is not easy to select a water tap for your kitchen sink. All great artists would certainly agree that attention to details is very important for the overall impression of the work and that sheer trifles can make a big difference in the end. If you want your kitchen to be a small work of art, you should pay attention to the details, such as the water taps. A kitchen tap should be both practical and good looking. Together with the rising demands for the quality and comfort of living, these practical fixtures become important accessories of the whole kitchen interior. A practical water tap makes washing of the dishes or ingredients before their further processing easier and you can also fill a big pot with a gallon of water without having to put the pot into the sink. This is the water tap with the spray, which is currently available on the market in a wide choice. How does this sort of water tap work? Normally, water flows through an aerator in a strong current. By pressing a switch on the spray of the water tap, you can switch the water current to the spray mode, in which the water is dispersed into a series of thin streams, just like in a shower. This improvement is most appreciated when you wash vegetables, such as lettuce. And if you do not have a dishwasher, this kind of water stream is good for rinsing the dishes. The next advantage of the spray is the option to pull it out the tap. According to the length of the hose, it is possible to pull the spray out up to 1 m. It is just enough for the aforementioned large pot to be placed on the worktop next to the sink and to be comfortably filled with water. It is equally easy to fill a vase or a high bottle with water. A lead weight enables easy sliding of the spray back into the body of the water tap. It means a water tap which is an aesthetic complement of the kitchen, besides its main function. It can be an inconspicuous complement, e.g. 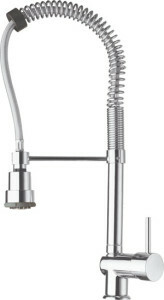 when a matt chrome water tap is placed in the middle of a sink, or it can become a dominant of the worktop – it can tower up to the height of about 75 cm above the sink with its metal spiral spring around its hose. However, it is true, that the design water taps are always more expensive then the serial ones. There is certainly a wide offer of water taps nowadays. There are minimalist water taps with simple shapes and clean design, water taps with a lever, exchangeable parts and various twisted spouts, as well as downright rustic water taps made of brass with the porcelain knobs. 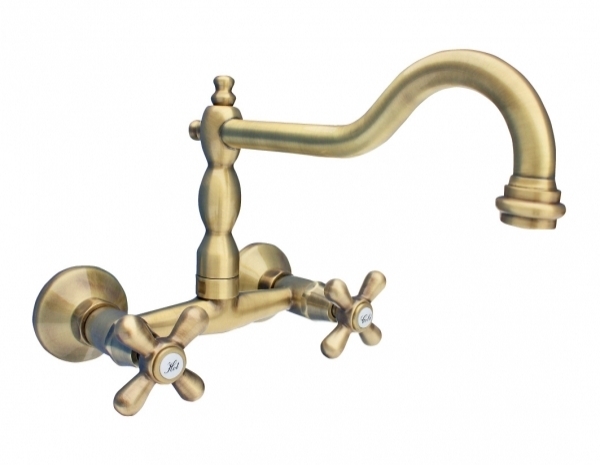 There are so many of them, that you will certainly be able to find a tap, which is both practical and pretty, for your kitchen so that it would be either a suitable complement to a new kitchen, or it would revive an old kitchen.